Plans for the biggest and best DWC so far are well underway. The date is set for June 2nd (keep that date free and marked in your diaries and calendars). And as usual, there will be two challenges: The standard DWC, which is has a choice of 2 options – Option 1 is a 31km walk with the route going from from Ballyferriter to Dingle, and there will be return buses to Blennerville available from Dingle; Option 2 is a 53km walk from Ballyferriter to Annascaul (again, there will be buses available to Blennerville from Annascaul). Please note that buses will leave from Blennerville at 7am sharp for this option. The DWC registration is now open via www.spatsgaaclub.com<www.spatsgaaclub.com/> with an early bird offer of €45 if you register before the 30th of April or €50 if you register on or after the 1st of May. 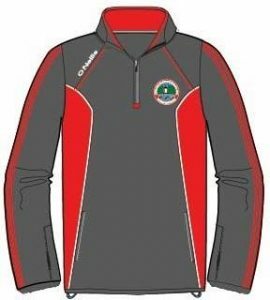 On-line membership registration for 2019 is now open on the Club website www.stpatsgaaclub.com.<l.facebook.com/l.php?u=http%3A%2F%2Fwww.stpatsgaaclub.com%2F%3Ffbclid%3DIwAR0x1q35HQVM_A_CqSAj1qlW8xF_VwfzM1mKbJHIhkMVi4quJ6WupKI1VG4&h=AT30fV8DBUP5mcCAxEPY1MTJPSWuI2Xee5zTh0tIEnV0nqoQsmjVZb24gm1CC…> Membership subscription rates and other information is available on the website We urge all players, parents and supporters to register their membership of the Club as soon as possible. If you completed on-line registration last year you can register using the MCF app that you may have downloaded. Completing registration on-line provides you with access to your information at any time and reduces the administration effort for the Club. Thank you for continuing to support St. Pats by registering as a member. Having had a week off, our seniors are back in County League action when they take on Currow in Blennerville on Sunday, the 24th of March. This Round 2 fixture throws in at 2pm. We urge all club members to come and support the team.